Ariana’s press includes radio interviews and articles in USA Today, CBS Money Watch, International Business Times, ABC, CBS, the CW, Eyewitness News, FOX, NBC, Newsday, Virtual-Strategy Magazine, the World’s Luxury Guide, Renewable Energy World, MoneyShow.com, The Miami Herald, A.M. Best Company, Beyond the Dow, BlogTalkRadio, and Hollywood Industry among others (see press logos below for fuller list). Listen to the full interview on the show page. You can also listen on the show page here. Author and entrepreneur, Ariana Ayu, collects and shares her Business Mojo lessons in her new book. The book guides readers through Arianas strategies for success using real-world examples, tools, and tips. Members of the Alliance for Women in Media including activist and entrepreneur Ariana Ayu, gathered at the National Press Club in Washington, DC last weekend to judge the 40th annual Gracie Awards which will be presented in Beverly Hills, CA (May) and New York City (June). The National Womens Political Caucus (NWPC) inducts Ariana Ayu as the newest Executive Board Member to the progressive 43-year organization whose goal is to recruit, train, and elect qualified women leaders. Ariana Ayu is all about freedom. She believes that you don’t have to struggle through grueling hours to build a profitable business only to be left exhausted and wondering why you ever left your comfortable job in the first place. Ariana’s taken a strong stand in the business world by claiming that it is possible to build a business and be happy and fulfilled at the same time. 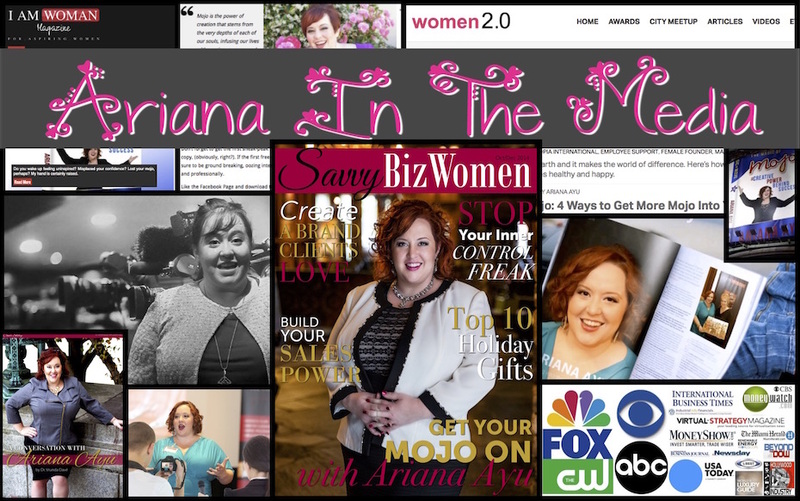 While most business owners believe in sacrifice, Ariana believes in stepping into your mojo and taking powerful action. She encourages us all to tap into our creative power and operate from that place so that we feel flow, comfort and ease as we build our ideal lifestyle business. As the CEO of Ayutopia International, LLC, Ariana both lives and teaches the importance of lifestyle as a crucial part of entrepreneurship. 2014: Listen to Ariana’s interview by David Ralph of the Join Up Dots podcast on iTunes. Todays guest was destined to live a life of helping people since starting her first business (a holistic wellness center) in 2000 and getting her first professional job (corporate finance) in 2001. I would guess that we can track this side of her character to an even earlier age too. As since entering the nursing profession, she has always had the drive not just to get the best out of people physically, by using normal medical means, but also by inspiring greatness with alternative medicine and positive reinforcement. And as we see time and time again, its the mental well-being that really pushes people through the gears, and helps them achieve the life that they deserve. And now as a firm believer and creator of “The Magic Of Mojo” and “Bodacious Branding” she is taking this ability to interact, engage and inspire into the business word across the globe. Mark Cuban’s comments on bigotry and prejudice blew up the twittersphere on Wednesday, followed almost instantly by a tremendous amount of mainstream media and press coverage. That was not, however the highlight of The GrowCo conference sponsored by Inc. in Nashville this week. Ariana Ayu, a conference attendee, gives us a firsthand account of this controversial interview. Fairview Town Crier (NC) announces that local businesswoman Ariana Ayu, CEO and Founder of the Fairview-based Ayutopia International was recently named 2014/ 2015 “Woman of the Year” by the National Association of Professional Women (NAPW) in recognition of outstanding leadership, professional achievements, and her contributions to the field of business development. President William Jefferson Clinton was honored Wednesday night with a Lifetime Achievement Conservation Award at the 49th Annual National Wildlife Federation Conservation Achievement Awards. Attendees included local and visiting conservationists, philanthropists, and NWF members/ supporters such as former DC-area branding and web design power couple Ariana Ayu and David Robb of Ayutopia International, LLC. 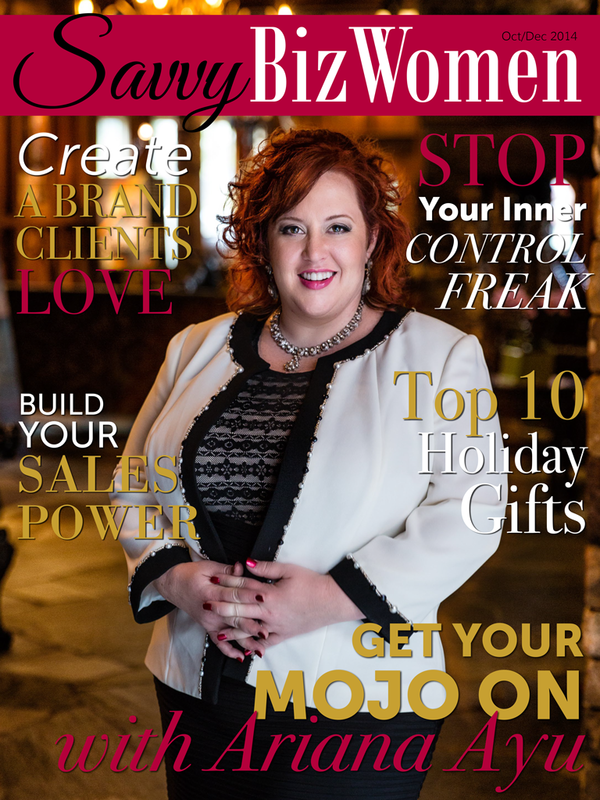 2014: Listen to Ariana’s Bodacious Branding interview with Heather L. Tapia of “Entrepreneurial Excellence Radio Show” on the Purpose for Women International Radio Network. Are you a celebrity in your industry? Do you want to be? Do you hate having to “sell” yourself and your services? How much would it mean to be recognized as the expert you are? There’s a simple solution that will let you stop “selling” and easily gain more of your ideal clients. Let’s face it, there are probably a ton of people out there who do what you do. I don’t care how much differently you do what you do, if potential customers don’t understand your value and connect with you on an emotional level, you won’t make sales. Without sales, you have no business, you can’t help the people you’re meant to help, and you’ll eventually end up back in that dreaded J.O.B.! Ariana Ayu’s Bodacious Branding system is a proprietary personal celebrity branding system that helps you authentically connect quicker and easier with your ideal clients so you can spend more time doing what you’re brilliant at and less time selling. Bodacious Branding: Get your brand into your body so you can sell without saying a word. Do you wake up feeling uninspired? Misplaced your confidence? Lost your mojo, perhaps? My hand is certainly raised. Well great news, I AM WOMAN’s very own member, Ariana Ayu, an all-round inspirational CEO, Entrepreneur, Business and Brand strategist and speaker, has just added Author to her impressive list. Ariana Ayu, Ayutopia International CEO and Founder was recently named 2014/ 2015 “Woman of the Year” by the National Association of Professional Women (NAPW) in recognition of outstanding leadership, professional achievements, and her contributions to the field of business development. The star-studded annual National Association of Professional Women (NAPW) conference is coming to Times Square April 25, 2014. Keynote speaker Barbara Corcoran (Shark Tank), event host Star Jones, Ariana Ayu (Woman of the Year, NAPW 2014/15), and Robin Roberts (anchor, Good Morning America) will be attending. Industry leaders, innovators, and world-class business women will be gathering to network, do business, and further their professions. The Alliance for Women in Media, headquartered in McLean, VA, is honoring outstanding women in media in a nationally-televised awards gala taking place on May 21st at the Beverly Hilton Hotel in Los Angeles, CA. This year’s Gracie Awards will honor media role models including Amy Poehler, Anjelica Huston, Mindy Kaling, and Julienne Moore; AWM supporters such as Ariana Ayu will be in attendance at Tuesday’s red carpet event. 2013: Listen to Ariana’s Bodacious Branding interview with Susan Scher of “In Other Words” on the Perfect World Radio Network. Ariana Ayu is a business and branding coach unlike any you’ve seen! With a bold approach to her appearance as well as her coaching style, she’ll talk to us about how to step out in a big, bold way, THAT IS RIGHT FOR YOU! If you suspect that may suit you better than other more conventional approaches, be sure to listen in.